Hashtags are widely used on social media, but for this post we’ll focus on using hashtags on Twitter. Movember’s Twitter campaign also shows how the usage of an @ sign (called a “handle”) on Twitter and a true hashtag can be blurred. Notice that the author of the tweet also tweeted at the company with the “@hello_piper” handle. A Twitter chat is a pre-scheduled online event that happens right on Twitter. Is it okay to use four, five or six hashtags? That’s a good goal, but people break the six characters rule all the time. You’ll also want to make sure there are no double meanings when words are run all together. You can use fancy tools to find out about who’s using a specific hashtag and what the context is, or you can just go to Twitter, search the hashtag, and look through the stream of tweets. Which Hashtags Should You Use? This is what RiteTag looks like from within Twitter: As you can see, RiteTag gives you a lot of statistics on each hashtag you search for. Hashtags are indeed like tags, and they’re used to identify the text they go along with. They start with a hash sign (#), which is immediately followed by a keyword. And the tag part at the end of their name? Well, I think it gave my father a clue. Hashtags are widely used on social media, but for this post we’ll focus on using hashtags on Twitter. That said, pretty much everything I’ll tell you here applies to the other social media platforms that use hashtags. Those are Facebook, Instagram, Pinterest, Tumblr, Google+, Google Search, YouTube, Vine, and Kickstarter. 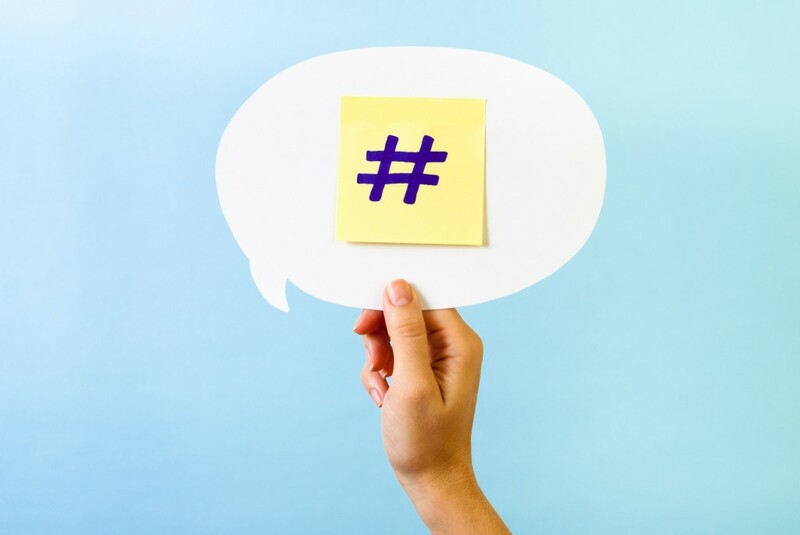 If you’ve been avoiding hashtags because you weren’t sure how to use them, or if you’ve been using hashtags without being sure you were using them correctly, we’re here to help. You’ll be able to use hashtags with flair by the end of reading this article. Let’s start with the different types of hashtags. Knowing about them will show you more about how to use hashtags than anything else. These are the most widely used kind of hashtags. If you’ve ever even looked at a Twitter stream, you’ll have seen one. Brand hashtags do just what it sounds like they do: They support and build on a brand. Campaign hashtags are similar, but are focused on marketing campaigns. 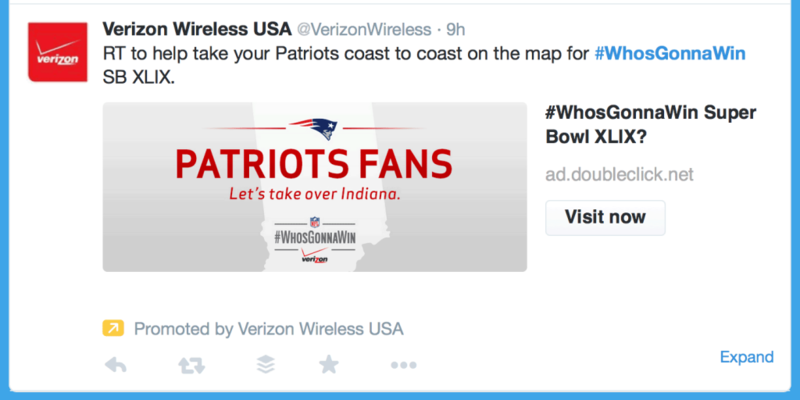 Here’s an example: The Verizon Wireless tweet below includes a campaign hashtag. Verizon is leveraging the popularity of the Super Bowl to gain exposure. This kind of commercial piggybacking on a wider cultural event is in the DNA of social media marketing. Hashtags are the perfect tool to do it with. “Movember” is a great example of a campaign that had no overt commercial intent, but was still picked up and spun by hundreds of social media marketers. “Movember,” if you did not know, is the international month of mustache appreciation. Movember’s Twitter campaign also shows how the usage of an @ sign (called a “handle”) on Twitter and a true hashtag can be blurred. Technically, the @ sign is used to send a public tweet to the attention of a specific Twitter account. But sometimes it works like a hashtag. Anything goes: The hashtag police have yet to ticket anyone for using a Twitter handle instead of a hashtag. The two tweets below exhibit some of the rules of engagement for the Movember campaign. First, there’s the Jameson whiskey tweet. That shows the commercial twist that this “movement” incited. Then there’s the tweet below of the mustache clippings. The author of that tweet used both the hashtag and the @ sign for more exposure. 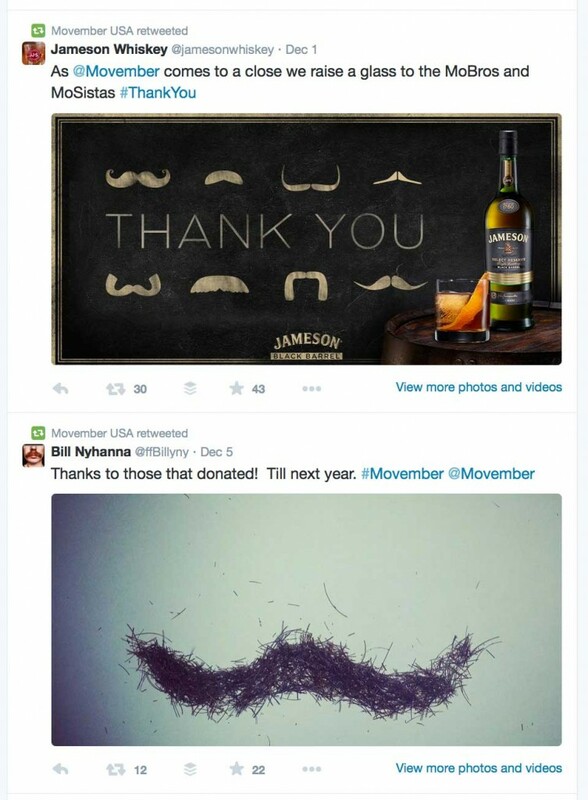 It worked: The tweet was retweeted by the official Movember account. Why use a brand or campaign hashtag? It’s an efficient way to track campaign activity. It’s also a way to get a brand, campaign or an idea out in front of people. Every time someone saw a “#Movember” hashtag stream by, they were hit with another brand impression. Another way to use hashtags is to give people credit for something when they use your hashtag in their tweet, post or share. For instance, if you were running a Facebook contest, you could enter people into your contest every time they used the contest’s hashtag. Let’s take a closer look at how they work on Twitter. #Pipernv is a product. Notice that the author of the tweet also tweeted at the company with the “@hello_piper” handle. Why do that? Because the company might retweet this since it mentions and promotes their product. The company may also be tracking #Pipernv, and might retweet this just to amplify someone’s positive opinion of their product.